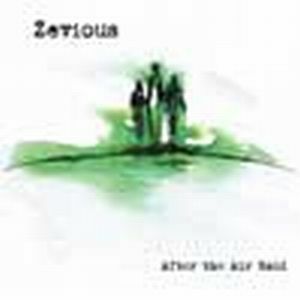 Four years after their barnstorming second album, the aptly-titled After the Air Raid, New York-based trio Zevious are back with their long-awaited third full-length CD, Passing Through the Wall, also released on Cuneiform Records. In the intervening years the band have maintained a brisk schedule of live performances – including the 2011 edition of ProgDay and, a couple of months later, Cuneifest at Baltimore’s Orion Studios. All three Zevious members are also involved in other projects, which pits them against the likes of Steven Wilson as the most hard-working people in progressive rock. Zevious, like miRthkon and many of the bands and artists featured on these pages, stand on the outer limits of the progressive rock spectrum – that twilight zone that some would label as “progressive but not prog”, a definition that shows how for many fans the genre has become nothing more than a collection of dated mannerisms. The trio’s musical approach, however, is every bit as complex as the average “mainstream” prog band’s, though relying only on the essential rock instrumentation to create an impressive volume of sound characterized by a very high level of energy. Indeed, Zevious are definitely not for everyone, especially those who believe that the “progressive” in “progressive rock” has been stripped of its original meaning. The definition of “King Crimson on steroids” that I used in my previous reviews of the band still holds true for Passing Through the Wall – perhaps even more so than for its predecessor. Zevious take the hauntingly repetitive, angular structure of pieces like “Red” or “Discipline” as a springboard, and inject it with an almost manic energy that owes a lot to metal and punk. As drummer Jeff Ebert, whose mind-boggling polyrhythms are at the core of the band’s sound, is also a member of hyper-technical metal band Dysrhythmia (with whom Zevious played some shows in November 2013), Zevious are seriously heavy, though in a different way than, for instance, miRthkon or Guapo – two bands that, like Zevious, straddle the line between Avant Progressive and experimental metal. Clocking in at about 48 minutes, and packaged in a minimalistic, black-and-white cover with an Escherian feel, Passing Through the Wall comprises 10 tracks ranging from 2 to 8 minutes – a structure both similar and different from their previous album. The shorter tracks emphasize energy and dynamic pacing, while the longer ones allow for more variation. However, those who are looking for dramatic shifts within the same track in classic prog tradition are in for a disappointment, because at a first listen the compositions on the album may sound all rather alike. Tempo changes are handled subtly as a whole, and the music’s hard-driving intensity does not disguise the complexity of the instrumental interplay. The imperiously-titled and –paced “Attend to Your Configuration” barges in with its relentless web of interlocking bass and guitar lines driven by Jeff Ebert’s acrobatic drumming, then slows down to an almost Sabbathian plod in the second half. In the considerably longer “Was Solis” Mike Ebert’s clear-toned guitar weaves sinuously in and out the rumbling backdrop of Johnny DeBlase’s bass, sparring with the drums and occasionally going into slo-mo mode for atmospheric effect. “Pantocyclus” melds skewed melody and haunting, insistent pattern peppered by piercing guitar effects, while the strikingly Crimsonian “White Minus Red” is powered by a superb performance by DeBlase, the rhythmic foundation steadily surging and flowing, then gaining momentum towards the end. The slow, ominous strains of “Crime of Separate Action” wrap up the first half of the album, again showcasing DeBlase’s astonishing propulsive/textural bass work supporting Mike Eber’s eerily chiming guitar. The first half of“Entanglement” pulls out all the stops in terms of escalating guitar assault, with drums all over the place; in contrast, “A Tiller in the Tempest” slower, somewhat rarefied pauses relieve the tension of the tight instrumental work. The short, fast-paced “This Could Be the End of the Line” acts as an interlude of sorts between the two most distinctive pieces on the album – the title-track, with its uncharacteristically muted guitar-bass-drum pattern, whose understated intensity creates a heady, drone-like texture; and 8-minute closing track “Plying the Cold Trade”, whose dirge-like pace and somber, Gothic feel offer a rather sharp departure from the unrelenting energy of the previous numbers. Obviously, Zevious are not going to encounter the favour of the average melodic prog fan, while their music should prove to be far more appealing to the younger generations, weaned on a diet of post/math rock, technical metal and crossover bands such as The Mars Volta. They are also one of those bands who – as good as they sound on CD – have to be experienced live to be fully appreciated, as their hard-driving yet sophisticated music gains a whole new dimension on stage. In any case, Passing Through the Wall is a riveting slice of modern progressive music, powerful and intricate though not devoid of melody, and definitely deserving to be heard with some measure of concentration. Highly recommended to all adventurous prog fans, this album is sure to be featured in many “best of 2013” lists.